Or perhaps, you have been given that blank stare as if they simply had no idea that the outline for the unit would be a grade. Even after you said that time and time again and wrote, “This will be a grade,” at the top of the page. I get frustrated with getting students to turn in work, when I don’t need to do so. I feel so bad placing a big, round zero in my grade book, but like I tell my kiddos, “If you give me nothing, you get nothing.” I simply can’t grade work that isn’t turned in. Although I can’t always get 100% of kids to turn in what they are supposed to during the week, I have found a way to accommodate those students who need a few extra nudges to get things completed and turned in. Want more good news? IT’S FREE. The Reminders App: It is a lifesaver, and every Apple device has one. 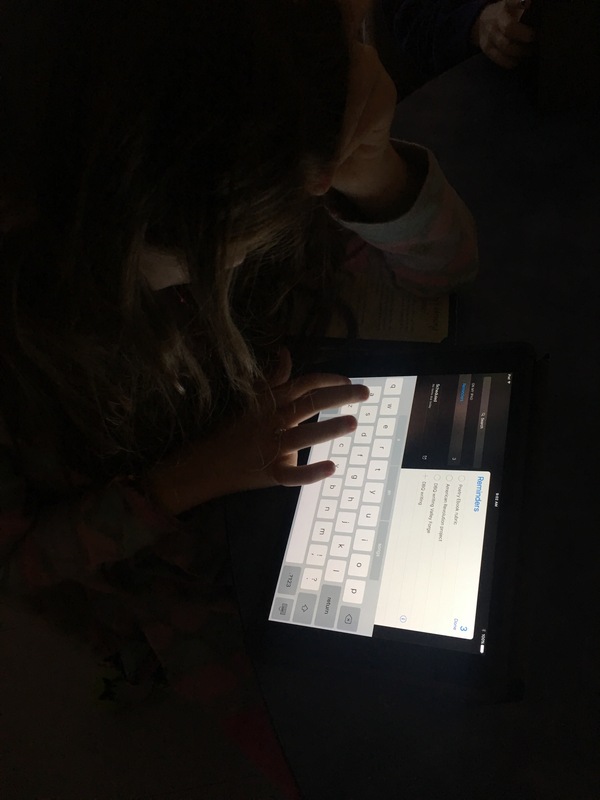 So when your student or even your own child is in class and the teacher says those precious words, “This will be a grade,” he can whip out his Apple device and type in the assignment name. Once the assignment is completed, he checks off this task. Together with the students in my classroom, a list was created of all items, projects, and tests that were past due or coming due. While creating this list, one of my students noticed that you can add reminders to pop up on a specific day . If one of your students has the need, the Reminders app can even remind him EACH DAY to do something. This. Is. Miraculous. We no longer need to harass our students for assignments. Now I can simply say, “Open up your Reminders app. I am coming around to check what you need to be working on this morning.” The students are now even more in control and responsible for their learning. It is time to give the responsibility of the learning and turning in of work up to the LEANER. We must guide students to become self-sufficient and the Reminders App is an every day feature to help us do so.